The City of Canada Bay Heritage Society was formed last Friday following the merging of the Concord Heritage Society and Drummoyne and Districts Historical Society. Both societies have over many years played an important role in fostering awareness of local heritage. 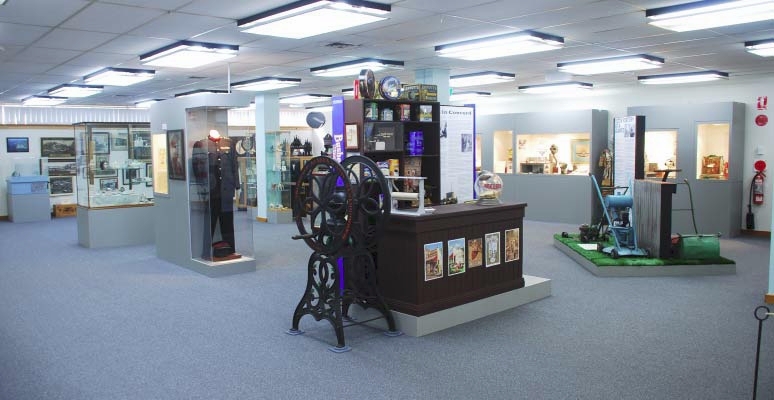 Since 2009 the two societies have worked closely in developing the City of Canada Bay Museum. The City of Canada Bay Heritage Society provides a great opportunity for local residents to become involved in projects of lasting value to our community. 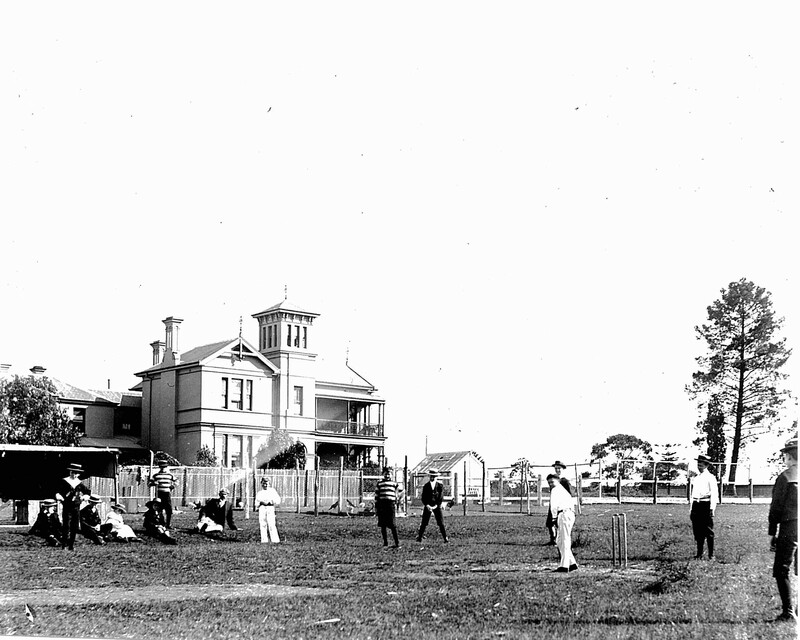 The photograph shows a cricket match at Alton, a house which was situated near Concord Road, about 1896. At the time the photograph was taken, Alton was owned by Edward Carr Hordern, the grandson of Anthony Hordern, founder of one of Australia’s largest retail firms of the late nineteenth to mid twentieth centuries. Edward started working in the family business at the age of 14 and went on to establish his own business Hordern Brothers in Pitt Street, Sydney. He worked for some fifty years in retail before handing over the day-to-day running of the business to his sons. Local Studies is keen to expand our collection of sports images and welcomes the loan of photographs for scanning and inclusion in Canada Bay Connections. The original photograph of Alton is held by the Mitchell Library (State Library of NSW). 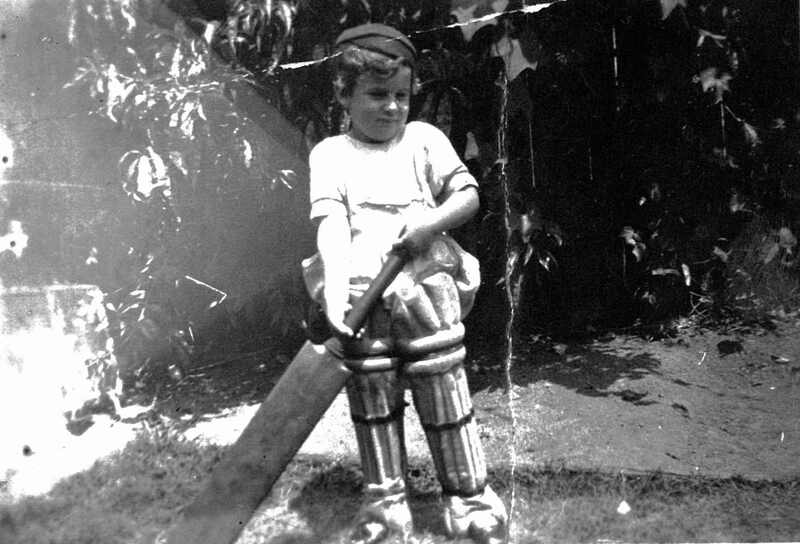 Amongst photographs added to Canada Bay Connections from the collection of Richard Boothman is a remarkable one of his uncle, Eric William Lukeman aged 18 months, playing cricket in the backyard of his home in Drummoyne. Eric Lukeman (1923-1993) went on to play cricket for New South Wales. He played 16 first class matches, including 14 Sheffield Shield matches, with a score of 1125 runs at an average of 40.17. Eric also played cricket with Balmain District Cricket Club between 1938 and 1949, scoring 2146 runs. During World War II Eric Lukeman served in Darwin. He later worked for the Water Board for more than 40 years. In later years Eric successfully played bowls. Earlier this year, local resident Richard Boothman generously contributed some family photographs to Canada Bay Connections. The images included ones relating to his grandfather, Ernest Stephen Lukeman who was prominent in soccer circles in the 1920s. He was secretary of the Australian Soccer Football Association and hosted visits by teams from England, New Zealand, Canada, China and Czechoslavakia. Many years later Professor K. L. Kwong, manager of the Chinese team, still fondly recalled the ‘kind consideration’ shown to him. In 1928 and 1930, Ernest Lukeman was manager of the Australian teams that toured Java. 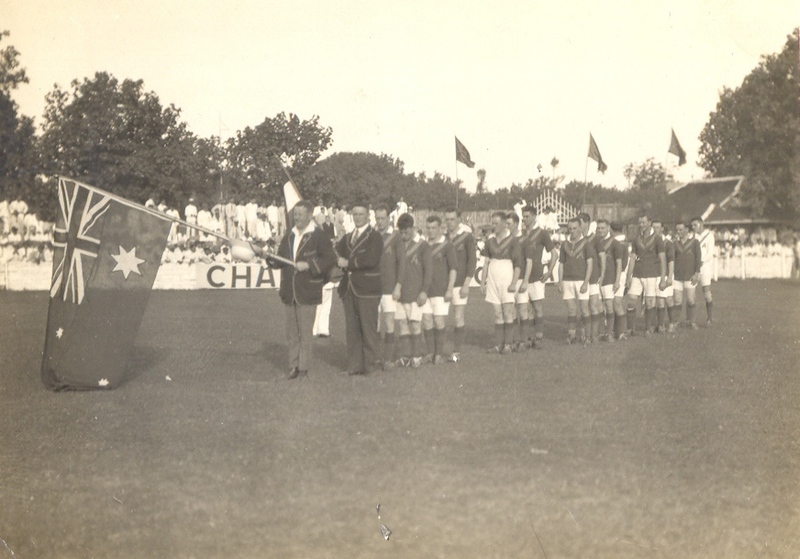 The photograph shows the 1928 Australian soccer team in Java being led by Ernest Lukeman, carrying the Australian flag. Thirteen matches were played of which Australia won nine, lost three and drew one. Ernest Lukeman died at Drummoyne in 1936, aged 54. One of Local Studies’ treasures is the Drummoyne War Service Record which records the names of service men and women of the First World War. The calligraphy and title page illustrations are by Drummoyne resident and ‘lithographic artist’ Henry John Allcock Baron while the morocco binding is by Wal Taylor, a noted craftsman bookbinder of the 1920s. 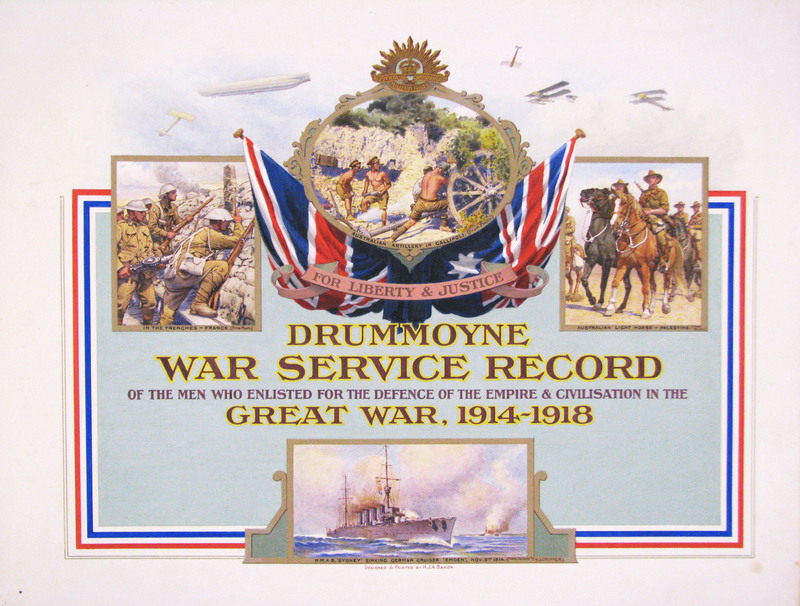 The title page of the Drummoyne War Service Record includes an illustration of the sinking of the German cruiser SMS Emden by HMAS Sydney, the first victory of the Royal Australian Navy. A recent addition to Canada Bay Connections is a letter from Cecil Rhoades to Charles McIlwaine written from the HMAS Sydney on 22 April 1917. The letter thanks the recipient for the Christmas parcel which had only just arrived and expresses how much the men enjoyed the cake. The three page letter does not mention anything about the ‘Syd’ (as Cecil calls the ship) or the war, as he writes ‘we get plenty of news … but have to keep it’. Recently, Greg McIlwaine lent photographs and documents from his family collection to be copied and added to Canada Bay Connections. 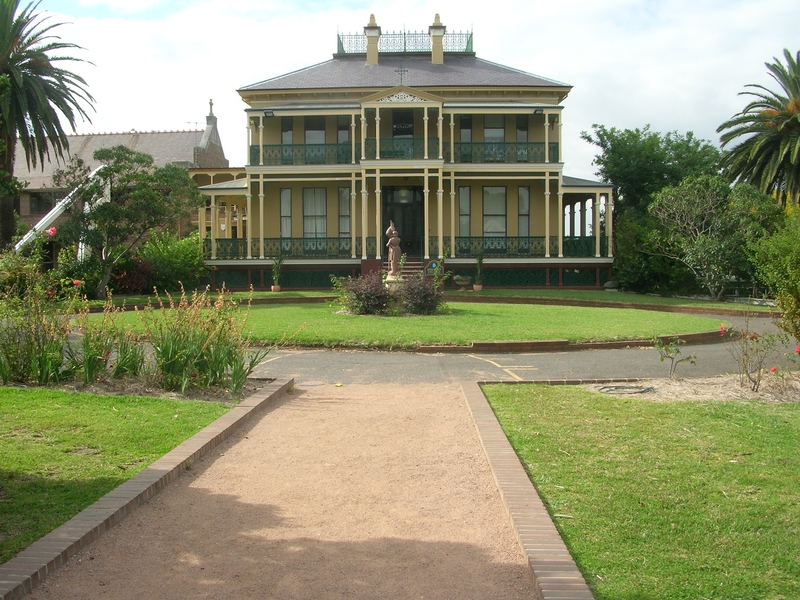 In 1914 Charles McIlwaine, who had been a fireman at Darlinghurst, bought land at Rhodes as the site for his family home. He founded the Rhodes Volunteer Fire Brigade which at first operated with a hand drawn fire hose. Charles’ son Vic later served as Captain of the Rhodes Fire Station while the position is currently held by his grandson, Captain Greg McIlwaine. 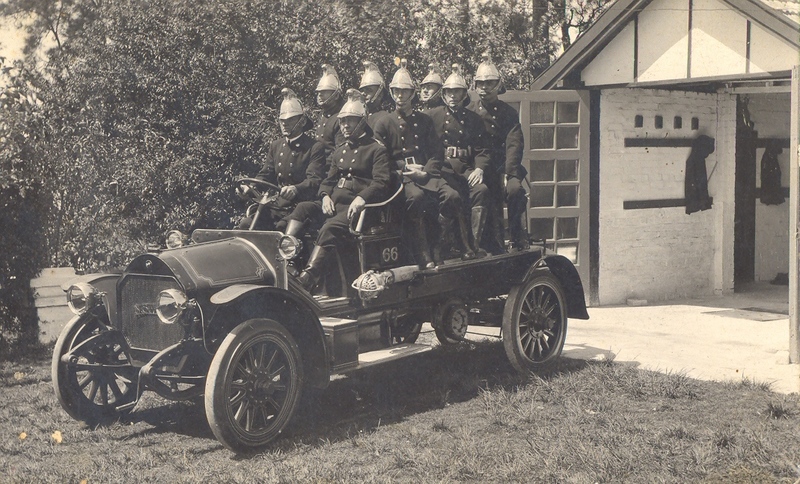 The photograph shows Rhodes firemen about 1930 on a no. 87 Willys-Knight fire engine. Captain Charles McIlwaine is seated in front alongside the driver. Local firm Rider & Bell Pty Ltd, of Cavell Street, Rhodes began manufacturing brass helmets for the NSW Fire Brigade in about 1942, after British helmets became unavailable. McIlwaine Park at Rhodes is named after Charles McIlwaine commemorating his and his family’s remarkable service to the community across three generations. At the centre of Domremy College is the fine mansion built for Arthur William Sutton (1839-1913) and his wife Emily Mary Sutton in 1878. Sutton was the first Mayor of Five Dock. The house was originally called Delapré and was probably named after Delapré Abbey, the Convent of St Mary De La Pré near Northampton, UK. Delapré is believed to have been designed by architect Benjamin Backhouse. The Sutton family moved out of Delapré in 1896 and subsequent owners included Dr C. S. Gibbons, W. G. Crockett and Patrick James Cashman. In 1910 it was sold to the Sacred Heart Presentation Order of the Roman Catholic Church who renamed it the ‘Domremy Presentation Convent’ after Domrémy, France, the birthplace of Joan of Arc. What are your memories of Domremy College? Local Studies holds a copy of the architect W. L. Knispel’s block plan for the ‘Proposed Service Station at Five Dock for W. Smythe Esq’. The site was originally occupied by the Arlington Hotel which was built about 1850. All Cars has now disappeared but the site’s association with motoring continues through the Audi dealership and Five Dock Smash Repairs (which appears to be part of the original All Cars Service Station building). 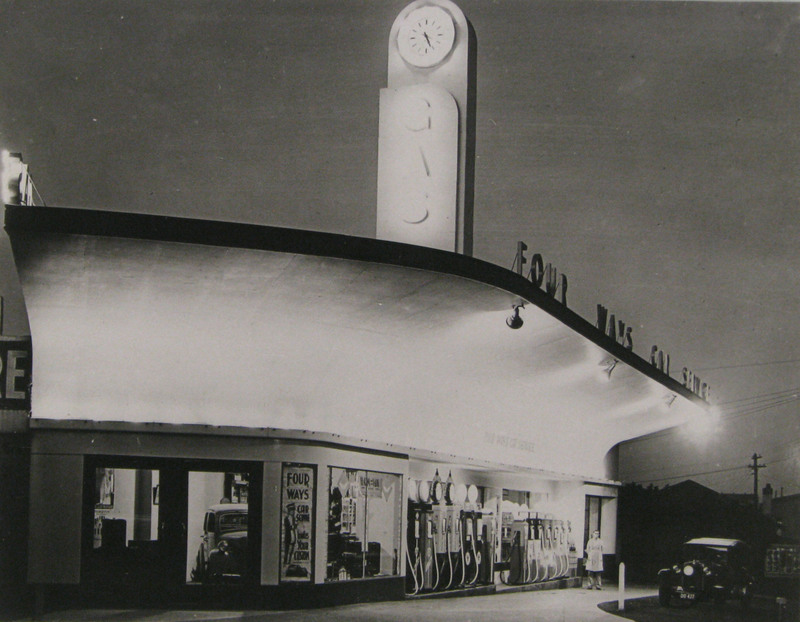 Rothwell and Cullen’s Four Ways Gas Service Station, located on the corner of Parramatta and Concord Roads, Concord, was the latest in modern service station design when it was built in 1939. In the years following World War II, the business under the direction of Ed Cullen, transformed into a car dealership. While the site has undergone many changes since this photograph was taken, it has had a continuous association with the motor trade for over seventy years.